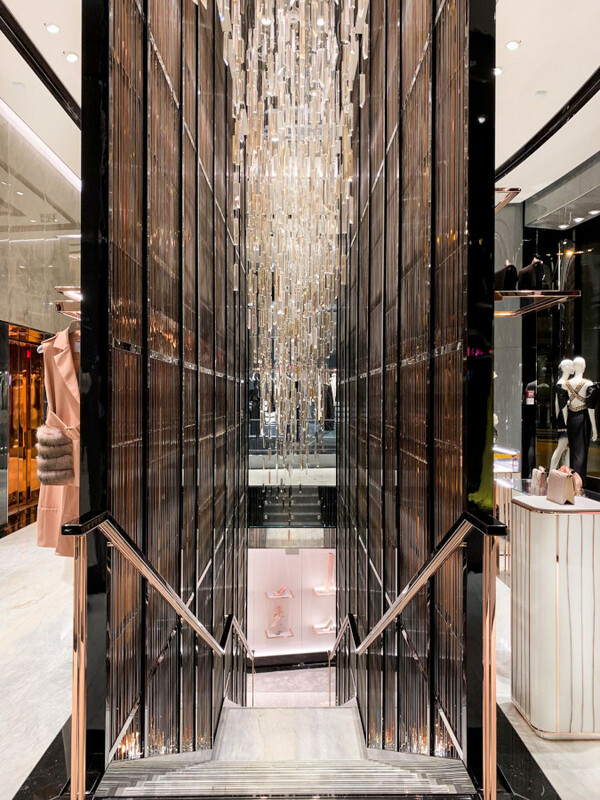 Monte Carlo, Monaco – 15 April 2019 – Global luxury brand, Ralph & Russo, continues its retail expansion with its first European flagship opening within Monaco’s prestigious One-Monte Carlo complex, designed by award winning architect, Sir Richard Rogers, and situated in the heart of Monaco’s golden triangle. Home to leading luxury brands, the opening of the Monaco boutique closely follows the unveiling of the brand’s other flagships in Doha, Qatar and Dubai, UAE, with additional boutiques expected to launch globally in key destinations over the next year. CEO, Michael Russo, comments: “Monaco is the ultimate luxury destination and home to the world’s leading designer brands. We are excited to be opening in such an international hub, which attracts residents and visitors from all over Europe and beyond”. 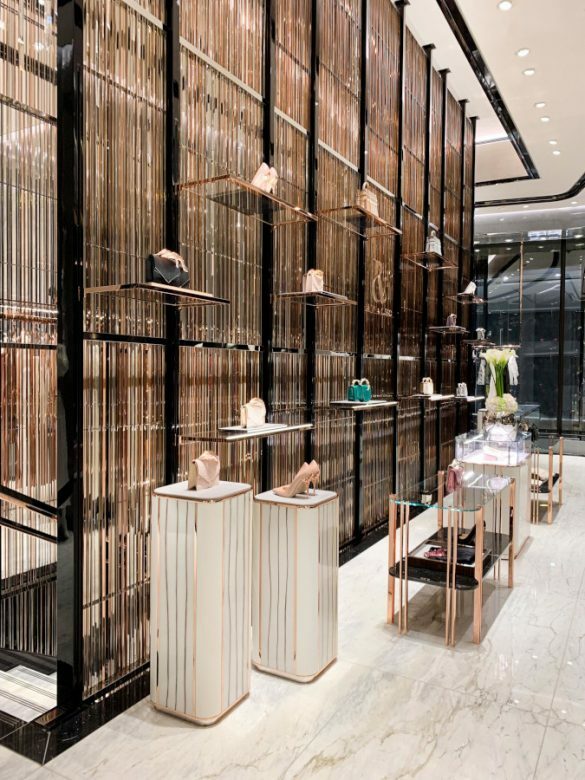 Measuring near 250 m2 and set over two floors, the boutique is testament to excellence in craftsmanship and architectural savoir faire, boasting an exquisite sculptural staircase at its core and an entirely bespoke interior, as designed and personally defined by Creative Director, Tamara Ralph. Ralph comments: “Monaco is such a special and prestigious region. It was so important to us that our Monte Carlo boutique not only reflected the brand, but also the grandeur of its location”. Encased by 4,700 alternating metallic strips and illuminated by a breathtaking jeweled Murano glass chandelier, the staircase leads to a private lounge on the lower level, offering a unique client experience and orchestrating the perfect balance between visibility and privacy. The ground floor, in contrast, mirrors the feeling of Monaco with a more open atmosphere. Enhanced by Nero Marquine and Carrara marble flooring, rose gold coiled brass furnishings and hues of silver grey, the boutique interiors reinterpret traditional yacht design, featuring elements of curvature throughout and offering an overall sensory experience. Ralph further comments: “The beauty of the Cote d’Azur and the yachts that inhabit it are so integral to the identity of Monaco. In designing the boutique I really wanted to celebrate the region’s maritime history alongside the contemporary splendour of the yachting community today”. 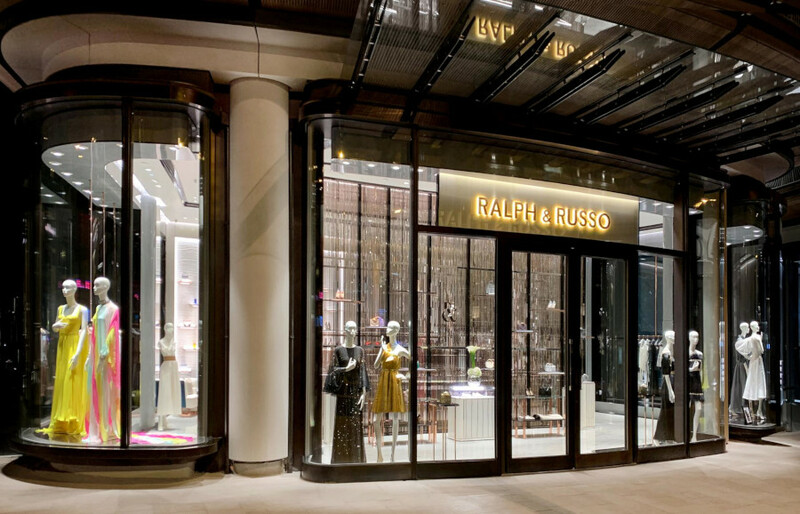 Home to a selection of the brand’s ready-to-wear, leather goods, accessories as well as a limited selection of exclusive couture pieces, the Ralph & Russo boutique is now open at One-Monte Carlo, Monaco.